The MR Direct 2421-18 ensemble features a beautiful stainless steel option in the trendy D-shape design. Durable and functional, this style of sink is deeper front-to-back and allows offset placement of the faucet in either corner. 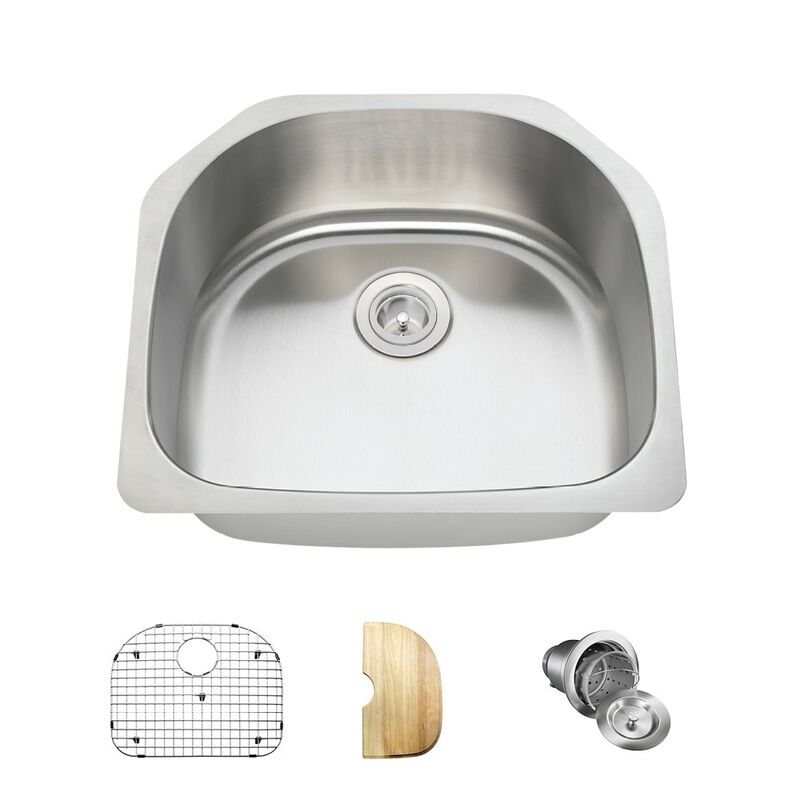 The 2421-18 is the largest, D-shape, single-bowl, stainless steel sink offered by MR Direct. Additional features include a generous 9-inch depth, 18-gauge thickness, dense sound-dampening pads, an insulation coating applied to its underside, and an offset drain which allows more upfront room under the countertop. Several convenient accessories are included in this ensemble: a beautiful, natural-wood cutting board, custom-built to fit over either half of the bowl; a custom-designed grid tailored to keep items off of the basin bottom; and a basket strainer to catch scrap materials.